Some times these types of charts are called funnel charts or some times they are called pipeline charts. 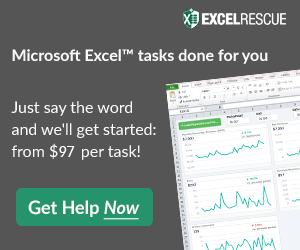 Regardless of what you call them, Excel doesn’t have a native chart type. But don’t fear, we can make a graph like this and I will also show you a quick solution to make them look really cool. At least I think it is cool looking and so may your executive team. Alright, lets get to it. 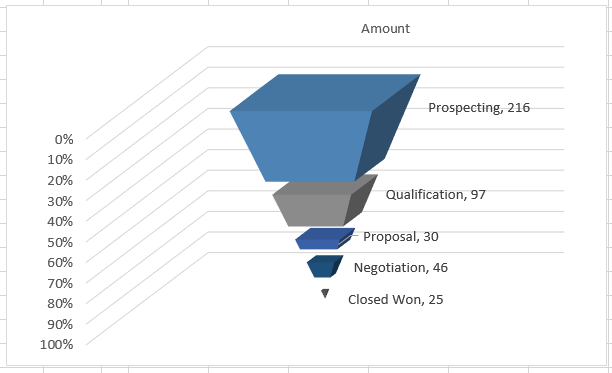 Here is my idea of a cool looking Excel 3D Sales Funnel or Sales Pipeline Chart. 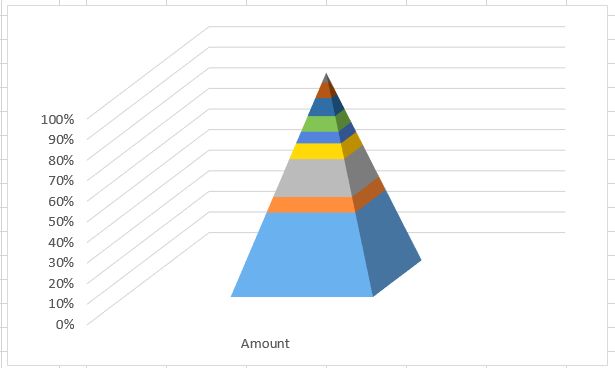 I saw a pyramid chart that looked like this and it gave me the inspiration. I think it really stands out. Let me know what you think in the comments below. and Add Spacers series as you see here. I set the spacers = $E$1 so that I can change the spacer size and also to keep the spacers uniform. 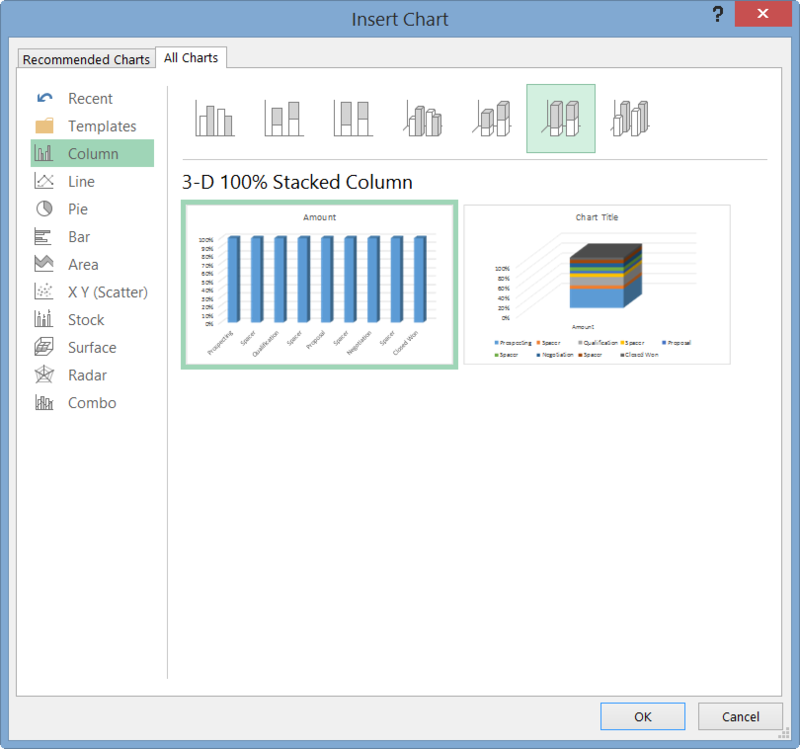 Now that we have our chart data range set up, highlight cells A1:B10 and create a 100% Stacked Chart. 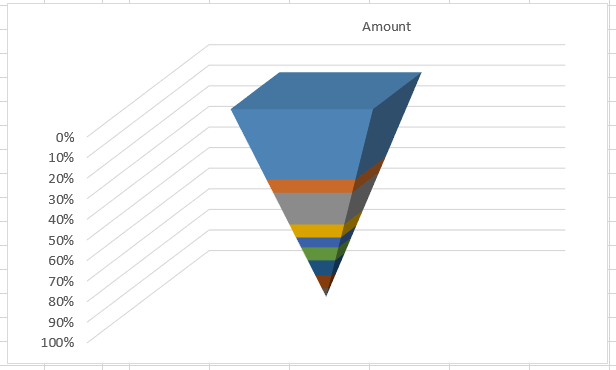 Now I said stacked chart because it depends if you are in Excel 2007/Excel 2010 or Excel 2013. 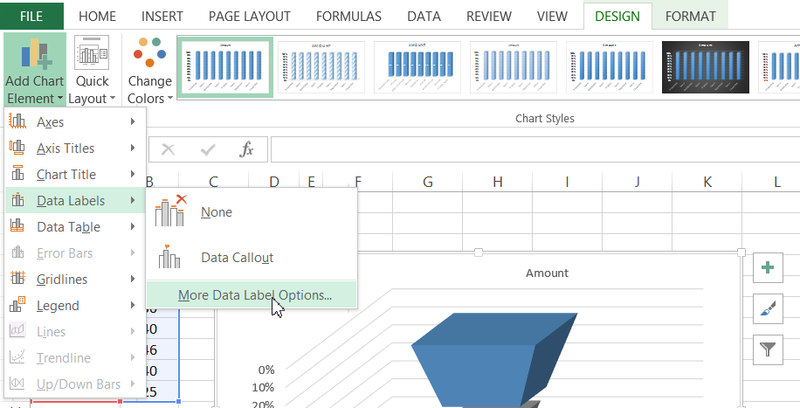 Now Excel is trying to decide how you want to the see the data, in columns or rows. So you will most likely have to switch the rows/columns. 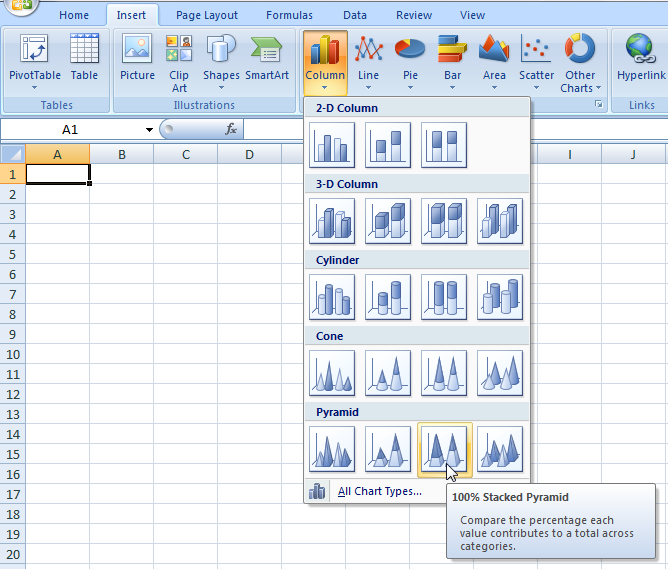 You can do this by selecting the graph and then going to the Design Ribbon and pressing the Switch Row/Column Button. 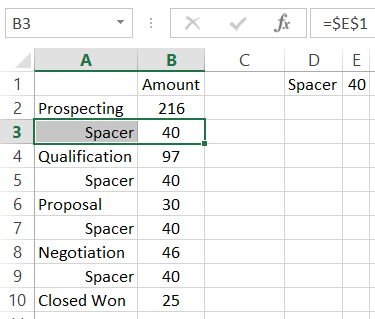 Why Does Excel Switch Rows/Columns in My Chart? We are getting real close. The only thing wrong with our sales funnel chart is that it is upside down. To do that, we need to Format the Vertical Axis. Right click on the vertical axis and choose Format Axis. 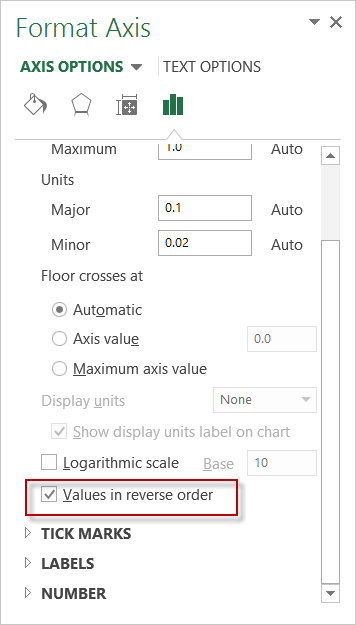 Then in the Format Axis Options, you will see one called “Values in Reverse Order”. Your chart looks pretty good. 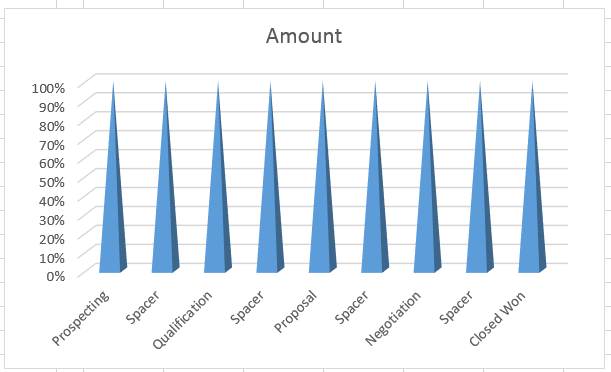 But not great because you can see the spacer data series. We need to hide them so that it looks see through. To do this, you need to click on any of the space data points and press CTRL+1. 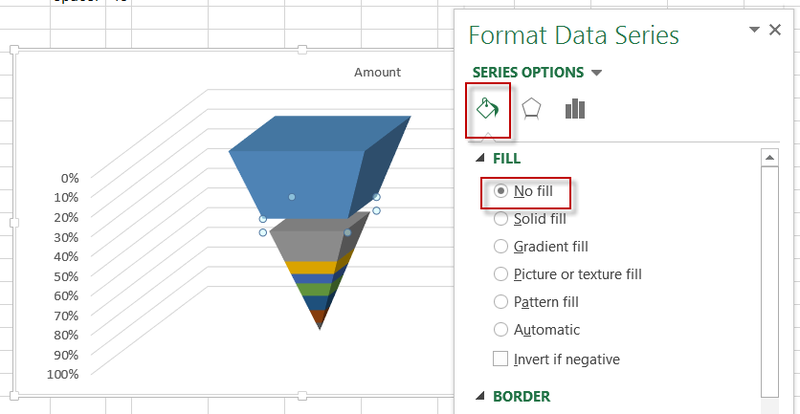 Then change the fill color to “No Fill”. 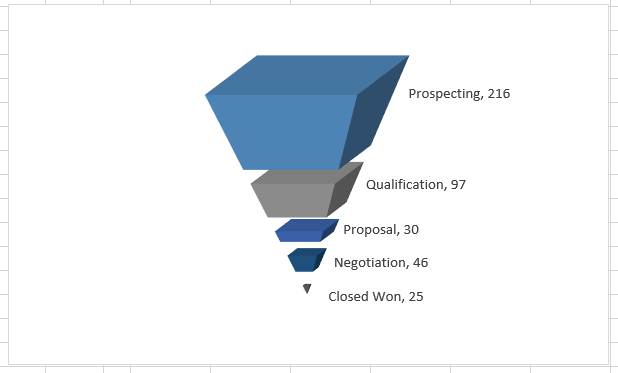 The Sales Pipeline chart looks good, but the reader won’t know which data points represent which data. So we need to add data labels. 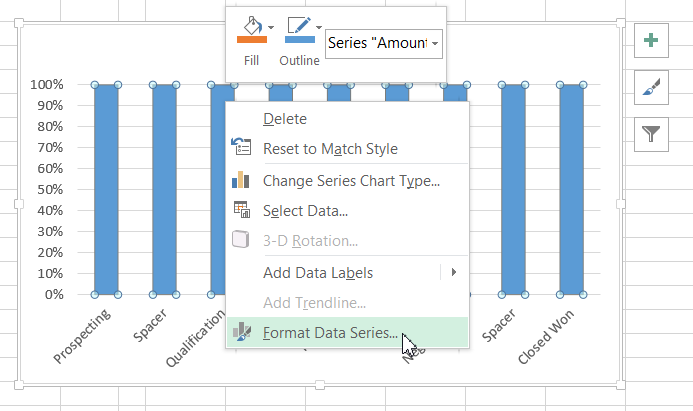 To do this, select the chart and then go to the Design Ribbon and Add Data Labels. 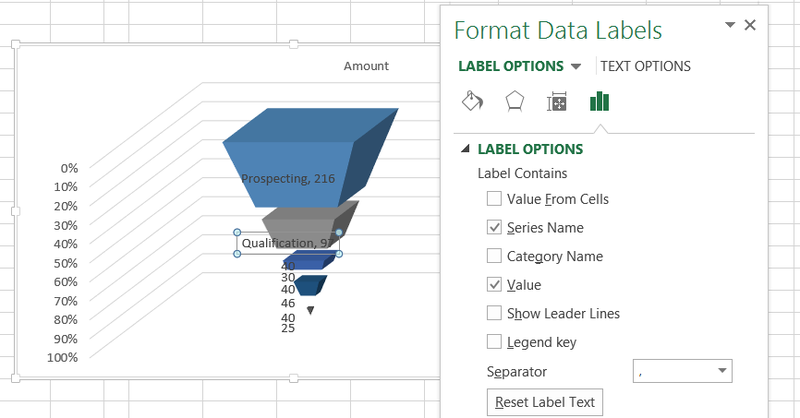 Then from the Data Label Options dialog box, check Series and Values. Also, delete the data labels associated with the Spacer series as we don’t want to show those ones. Thanks for being a fan and for sharing my site with your co-workers. Cool looking chart. Thank you for sharing.